When Shalini puts her mind to something she sticks with it. Shalini Patel, a third grader in Mrs. Lottes' class decided to join the NDM Bollywood Dance Studio when she was only six. 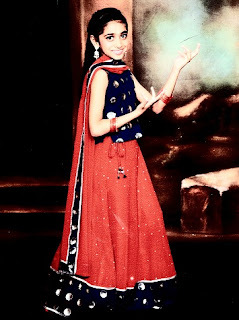 Every year since, she has had Bollywood dance practice once a week at the Artesia NDM Dance Studio. Her performances are bi-annual; one in March and one in June. Shalini mostly performs in a group, although she has done a few solos and a duet for private functions. In addition, her dance group has been selected to compete in various dance competitions. Later this year, her dance team will be competing in the Neema Dance Competition in Artesia. They will also be performing at the Ford Amphitheater with some of NDM's other dance teams. Shalini has the privilege to study under the instruction of Nukul Dev Mahajan, who has just recently choreographed dance routines for the Nobel Peace Prize Gala in Norway for the very famous Indian composer and singer, A.R. Rahman. Mahajan is known for his role on "So You Think You Can Dance" as the Bollywood choreographer for the contestants for the last four years. Through dance, Shalini has made many friends. She says that she enjoys every minute of her Bollywood dancing mostly because the teacher is so fun and it's entertaining and fast paced. Her goal is to be an instructor one day. Shalini's parents, friends, and teachers are all very proud of all her accomplishments. 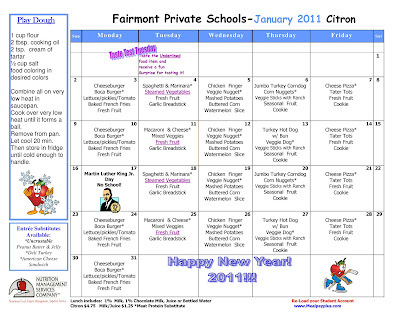 Happy Holidays to all our Fairmont families! Have a safe a joyous winter break and we will see all of you in the New Year. • Two library sites – Kidzone is for students in preschool through the fourth grade and Teenzone is for students in Grades 5-8. The links in each are very similar but are age appropriate. • Our youngest students can experience the fun of learning with educational videos, age-appropriate digital and print books that are read to them, and wonderful educational games and activities. • Access to our Library Researcher – Students can now check online to see what books are available in their school library. They will eventually be able to put books on hold from home. As if that is not enough, students and parents will also be able to access book descriptions and book reviews online! • Research sites including BrainPop, dictionary, thesaurus, Pebble Go Science, Discovery Education, Gale and safe research sites. • Research tools for students that will help them with writing bibliographies, organizing a research paper, links to search engines, printable tools and links to local public libraries. • Hundreds of digital and video books including links to apps for Kindle and Nook! • Links to all the Renaissance Learning Products such as Home Connect and AR Bookfind, as well as Parent Guides to AR and AM. • Many links to student-oriented current events and periodicals as well as a ton of links to children’s authors. • Last, but definitely not least, links to hundreds of educational games and activities. We encourage you to log on to Blackboard (https://fairmontschools.blackboard.com) and check out the Kidzone and/or the Teenzone today! Our winter session for extracurricular classes starts the second week we come back to school. Your child should have come home with the class schedule at the beginning of the week. There are extra forms in the lobby, please turn in by Friday, January 7th. Minutes can earn our campus thousands! Remember, joining OneCause is free and only takes a few minutes. Your friends and family can join as well to help earn money for our school. Simply shop as you normally do online, accessing OneCause.com to link to the vendor you wish to shop. There are no special codes you must enter. The best part is that you can get started in 3 easy steps!!! 1. Go to www.onecause.com and click "Join"
"Fairmont Private", then select your campus. 3. Find your vendor and start shopping! Your profile will be updated quarterly to reflect any contributions you have earned for us. This is such an easy way to make money for our school that does not require any work on your part other than registering and spreading the word. So, please join your FPA in enrolling in OneCause and spreading the word to your friends and family. Please contact your FPA Board for more details. Kindergareten students will take the bus to Mable. On Thursday, Dec. 9th, the first graders were magically transported into the deep and majestic Black Forest of southwestern Germany. In the play The Elves and the Shoemaker, performed at Fullerton's Plummers Auditorium, the hopeless shoemaker is secretly visited by spirited and spritely elves each night, as a reward for the kindness he bestowed towards them. Once back at school and discussing the "moral of the story," first grade student, Karishma Grandon, was quite articulate when saying, "I learned that if you are nice to someone, they will be nice back." Definitely a valuable holiday lesson for children and adults alike! It was terrific seeing all of the students, staff, faculty and parents as we approached each school. What a reception! 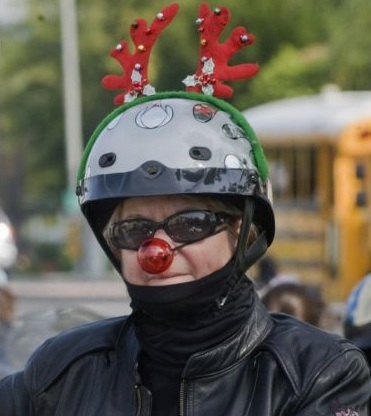 To hear all the applause and cheers and excitement as we rode up was very special for the motorcycle riders and Santa. THANKS to all of you for sharing your day and being so generous and supportive of such a wonderful event. Again, each campus was unique and special. We totally enjoyed seeing each and everyone. Citron and Edgewood students sang Christmas songs from their Christmas programs and they really sounded great. It added the Christmas spirit for this special day and season. We wanted to thank Citron Campus and the Parent Association who provided a brunch with all kinds of food, drinks and goodies for us again this year. It was quite delicious and appreciated by all. The generosity from all the schools was overwhelming. Our truck was nearly full of toys for the patients at CHOC. We took them down to the OC Harley dealership where they will stay until our OCHOG members will deliver them on Christmas eve day to the hospital so the kids and families will have presents for Christmas Day. These toys will also be given to patients who often spend weeks or months inside the hospital, extending the season of giving beyond the holidays. 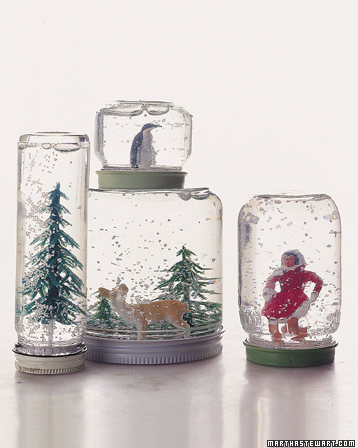 Toys are used as therapeutic play to help patients adjust to their hospitalization and create a positive experience. It's a very rewarding experience to know that we all helped lift the spirits and put smiles on the young patients who frequent CHOC due to unforeseen illnesses, and to make a difference in the lives of children, who have unfortunately been stricken with catastrophic illnesses or who have to be in the hospital, by letting them know that people care about them and what they are going through. What better way is there to start the Christmas season? Thanks again and I want to wish everyone a wonderful Merry Christmas and a healthy Happy New Year!!!! Enjoy your time off with family and friends and relax to the fullest. Thank you very much for all of your help this past Sunday. I was happy to see all of our students punctual and prepared for the event. In addition, the lunches and breakfast items were very well done and delicious. A special thank you goes out to our team mom, Mrs. Mital, who helped coordinate food service for the day. Another special thank you is for Mrs. Rogers and Thao-Ann Nguyen who both served as judges for many of the debates during the day. The Edgewood campus had a very good showing amid some very difficult competition. At the end of the day, I was proud of our group for working so hard to be successful. This was the biggest OCDL event yet: 98 students, 33 teams, and 7 schools. Our school results are listed below. I always like to have pictures from the day's events. If you have any pictures taken during the day, would you please email them to me? Thanks again! I'm looking forward to our next event at Walton Middle School in February. Overall: This is for most wins per school. Tournament: This is for highest percentage of wins. 3rd place - Nick F.
4th place - Amanda C.
13th place - Cassandra F.
14th place - Amanda M.
15th place - Parisa B. 22nd place - Sonali N.
School Reconvenes - Welcome Back! The new Blackboard Library Pages for use at home and at school are exciting new educational tools that make learning more fun and accessible! • Two library sites: Kidzone for students in preschool through the 4th grade and Teenzone for students in grades 5 - 8. The links are very similar but are age appropriate. • Access to our Library Researcher - students can now check online to see what books are available in their school library. They will eventually be able to put books on hold from home. As if that were not enough, students and parents will also be able to access book descriptions and book reviews online! • Links to all the Renaissance Learning Products, such as Home Connect and AR Bookfind, as well as parent guides to AR and AM. • Many links to student-oriented current events and periodicals as well as many links to children's authors. We encourage you to log on to Blackboard (https://fairmontschools.blackboard.com) and check out Kidzone and/or Teenzone today! Two weeks ago, Hogwarts enthusiasts around the world donned cloaks and beards as they ventured into the world of Harry Potter and the Deathly Hallows. The long awaited finale proved to be worthy of fans expectations and was praised by critics. Unlike the past movies in the series, the final chapter lacked a sense of security, happiness, and innocence that typically accompanies a magical world full of wonder and surprises. The majority of the movie portrays Harry, Ron, and Hermione fleeing the Death Eaters in seemingly endless forests. In this sense, the film does not do justice to Rowling's work. Additionally, there are only a few scenes that reveal the parallelism to the novel and the overall goal of the piece. Though David Yates, the director, created a clear and vivid description of the struggles and life of Harry Potter, the fact that the movie was split in two was disappointing. The movie was prolonged at many nonessential moments, and those of necessity passed at the swish of a wand. The longevity of the trio's journey through the wilderness could have easily been abridged, and important parts such as the destroying of the horcrux, the wizard battles, and the showing of the Dark Lord could have been enhanced to satisfy the plot and create a faster paced film. Nevertheless, Radcliffe, Grint, and Watson, proved to shine in every moment of the film and the movie proved to be a success. The dramatic ending kept fans on the edge of their seats anticipating the foreboding conclusion. To read more exciting articles from our 8th grade journalism class, click here to view the latest edition of the MJHHeadline. In Spanish class, the students have been learning a Spanish version of "Jingle Bells." If you would like to join the fun, here is a link to sing along, and the words are below. We wish you a safe and memorable holiday. Enjoy! Prospective parents and students are welcome! Please call (714) 563-4050, ext. 1110, for a reservation. 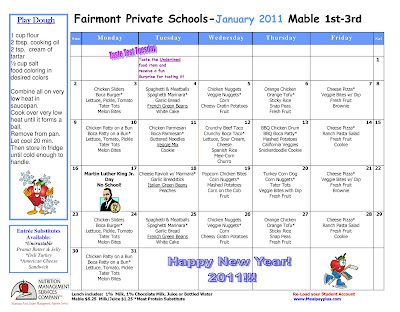 Nutrition Management is kicking off the New Year with some healthy and fun meals! Check out our January Lunch Menu so you can plan ahead for the month. Happy New Year! Nutrition Management is kicking off the New Year with some healthy and fun meals! Check out our Preschool-1st Grade Lunch Menu and our 2nd-8th Grade Lunch Menu so you can plan ahead for the month. Happy New Year! Nutrition Management is kicking off the New Year with some healthy and fun meals! 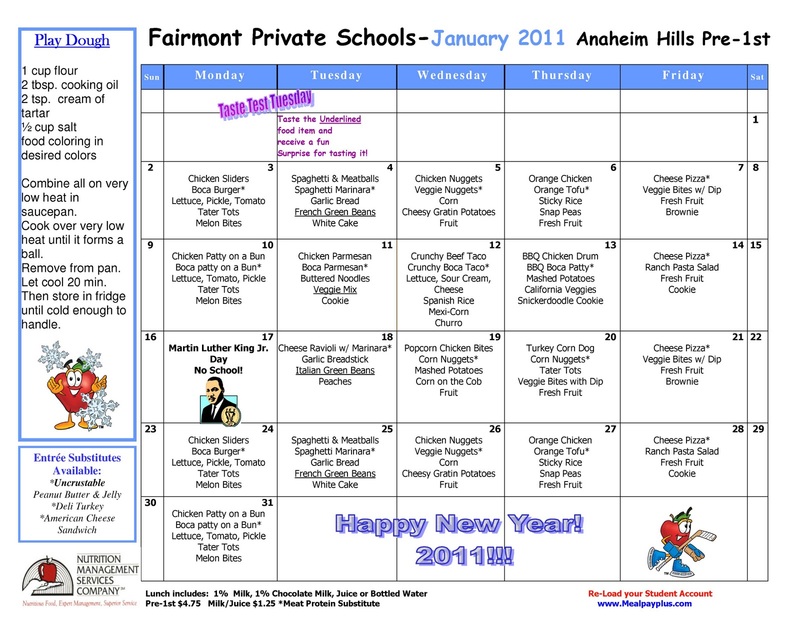 Check out our 1st-3rd Grade Lunch Menu and our 4th-8th Grade Lunch Menu so you can plan ahead for the month. Happy New Year! The Anaheim Hills Debate Team brought home the Golden Gavel Award and the Overall School award at the Eagle Invitational debate tournament on Sunday, December 12. Hosted by Fairmont Edgewood campus and held at Fairmont Prep Academy, the tournament was attended by seven schools: Fairmont AH, Fairmont Edgewood, Fairmont Mable, Hebrew Academy, Heritage Oak, Pegasus, and Serra Catholic. There were 33 teams made up of 98 individual speakers. Awards were given to the top 10 teams, top 24 speakers, as well as the Tournament Award (total number of wins) and the Overall School award (highest percentage of wins). “I want to especially thank my assistant coach, Lulu Crawford, for the many hours she has spent helping the kids to research and formulate outstanding arguments, and to my Team Mom, Lisa Ngo, for her constant support in coordinating and providing snacks for our students at practices and tournaments,” said Debate Coach Kristi Mead. Fairmont debate teams’ next event will be an Inter-League tournament with Inland-Valley Debate League (IVDL), which was the original league to which AH and Edgewood belonged before the creation of the OCDL. The tournament will be held at Walton Middle School in Compton on February 5, 2011. The new Blackboard Library Pages for use at home and at school are exciting new educational tools that make learning even more fun! Found on the Blackboard tabs as Kidzone or Teenzone, students will be able to access information in our 21st Century Online Library. Students can find books that are available in their school library, practice their math, reading and science skills, and access many research sites and tools to aid in writing and organizing research papers. If you are interested in digital books, educational videos, online periodicals or current events, Kidzone and Teenzone have links to hundreds of these, along with links to (and educational) games and activities! We encourage you to log on to Blackboard (https://fairmontschools.blackboard.com) today! On the Anaheim Hills Campus this week, we finished the final prizes for the magazine drive with the Kona Hawaiian Ice truck! It was very yummy with frosty snow cones and lots of flavors! Best of all it was a wonderful hot December day in Southern California! Our Tri-Way Basketball teams had two games this week and the boys and girls teams won both of the games!! On Tuesday the Cougars beat Pegasus 35-14 and the Lady Cougars won 36-14! On Thursday the boys team won against Oakridge 39-20, and the girls team won 32-18. The girl’s team is now 3-0 and the boys are 2-1. Come out and watch them play against Mable campus on Wednesday, December 15. The Kindergarteners went to Plummer Auditorium to see “The Elves and the Shoemaker” and had a great time watching this funny play. They love going on field trips, riding the bus, and having lunch at the park! The Orange County Harley Owners roared onto the Anaheim Hills Campus on Friday morning, much to the delight of all our students. This is the 11th year that Fairmont has partnered with the Harley owners to bring toys to CHOC (Children’s Hospital of Orange County). All of our students donate toys to CHOC for other children that are hospitalized over the holidays, or other times during the year. Santa also comes for a hug for everyone and to bring candy canes to all! The Faculty and Staff of the Anaheim Hills Campus wish you a safe, peaceful and happy holiday season! On Tuesday, December 7th the two Jr. Kindergarten classes went on an adventure to Centennial Farms in Costa Mesa. Upon arrival at the farm our groups met our farmer tour guides. For many of our students who live in urban areas, seeing live animals and vegetables was a huge adventure. We watched two cows being milked; the students were mesmerized seeing the white milk enter the milking machine. We learned about many plants that grow on the farms that we eat; celery, carrots, lettuce. We saw sugar cane plants and oats growing, but the students didn't believe that either green plant had anything to do with their breakfast. After petting pigs, sheep, and goats we all planted a couple of radish seeds. The highlight of the trip was that after learning about the life cycle of chickens, each student had the opportunity to hold a baby chick. We learned how to put our thumb gently on the chick's back so it did not wiggle away. How fun! After eating our lunches in a beautiful, sunny picnic area, we loaded back onto the bus for home. What a great day! Centennial Farms is open to the public. Check out their open times on-line and take your whole family on a fun adventure. 'Tis the season! Please join us at the Edgewood lunch table area to celebrate the holiday season & enjoy the caroling of the Edgewood students. The holiday caroling will begin at 8:30 am. Students will be performing holiday favorites to kick off the holiday season! The Parent Association is providing donuts, pastries, hot chocolate, tea and coffee. Come celebrate with us! I want to take this opportunity on behalf of the faculty and staff of the Citron Campus to wish you all a wonderful holiday season. As we enter this time of giving it is important for our students to realize there are a lot of people in this world that need help. Moms and Dads often struggle with how best to instill compassion in their children and the importance of giving back. Below are a few suggestions to expose them to the idea of giving. • Have your child accompany you while you pick up the mail for a neighbor who is sick, or out of town. • Make holiday cards for children who are sick in the hospital. • Bake cookies and deliver them to a neighbor. • Donate one item off a Christmas Wish list to a less fortunate child. • There are many families who will not have the opportunity to celebrate this holiday. Your family can make a difference by delivering a tree, providing dinner, or assembling care packages. We thank you for your generosity and continued support of our campus. With Winter Break just around the corner, it's time to stock-up on supplies and get ready for some quality crafting time with your family. We've pulled together some of our favorite activities to inspire a crafty holiday season! Enjoy! 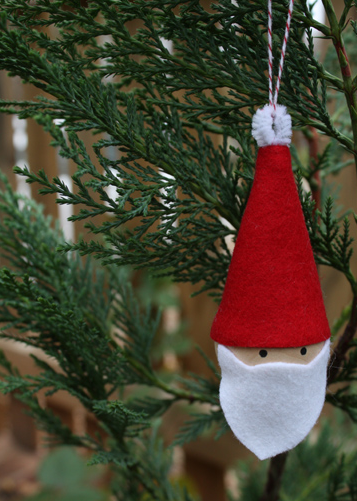 Make these little Santas for your tree, or to tie onto holiday packages with this 10-minute Santa Ornament by The Long Thread. 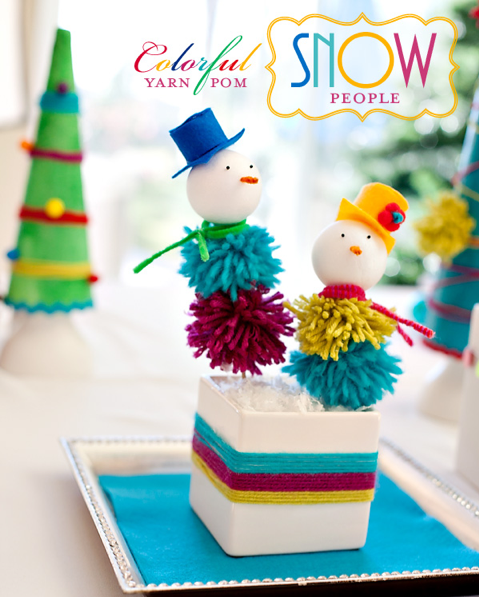 Bring some snow and sparkle to Southern California with these adorable Yarn Pom Pom Snow People by Hostess with the Mostess. 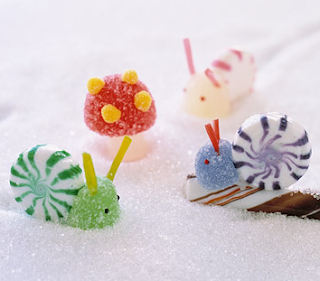 Add a new twist to this year's Gingerbread House with Martha's Sugar Creatures. Tip: Get an easy Gingerbread House Kit at Ikea or Target this season. Transform your paper-bags into cards & decorations with these Paper-Bag Gingerbread Friends from Kaboose. 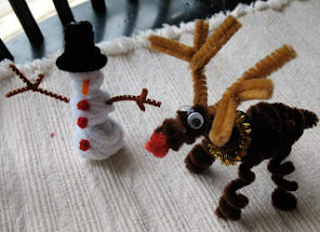 Kids love pipe-cleaners and so do we! Make a set of Chenille Snowman & Rudolph--and see what else you can come up with!